Posted on June 3, 2014 by Mark Pajor. Intel is donating three pieces of equipment that will form the basis of a lab space that will allow undergraduates to learn about the concept. 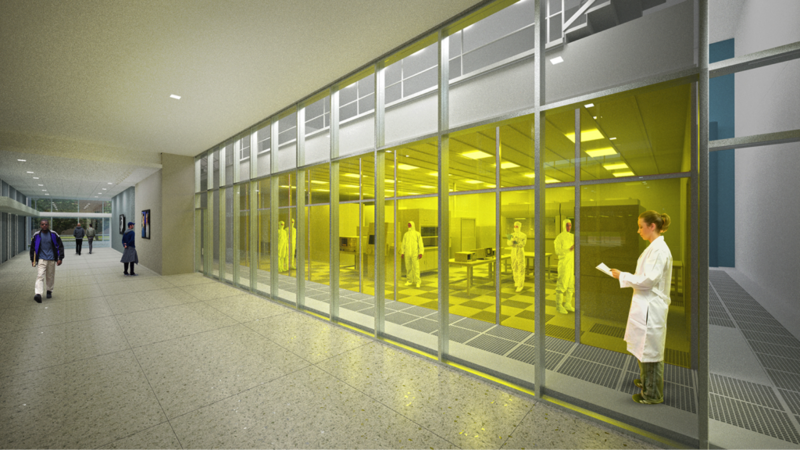 It will be located in the new ECE Building’s nanofabrication laboratory. Intel Senior Fellow and ECE alumnus Mark Bohr (MSEE ’78) said Illinois has been a leader among academic institutions as it offers a microfabrication laboratory course for its undergraduates. Burke Walls, a global college talent strategist within Intel’s College Center of Excellence, said the new building prominently features the importance of undergraduate education. The equipment will be used in the prominently featured lab space on the first floor of the new building, where windows will reveal students fabricating colloidal quantum dots, nanowires, non-ring oscillators, and carbon nanotube LEDs, using optoelectronics and plasmonics, on novel materials, like carbon nanotubes or grapheme, rather than just silicon.